Get the ultimate in flexible mounting! HyperDeck Shuttle Mounting Plate simply replaces the bottom foot on your HyperDeck Shuttle with this innovative mounting plate that's so easy to install it requires only 4 small bolts! Then you get everything you need for an extremely versatile and flexible mounting solution for your HyperDeck Shuttle. Now you can easily secure your HyperDeck Shuttle to a camera rig with your choice of rail mounts, cold shoe mounts, articulated arms and a whole lot more. 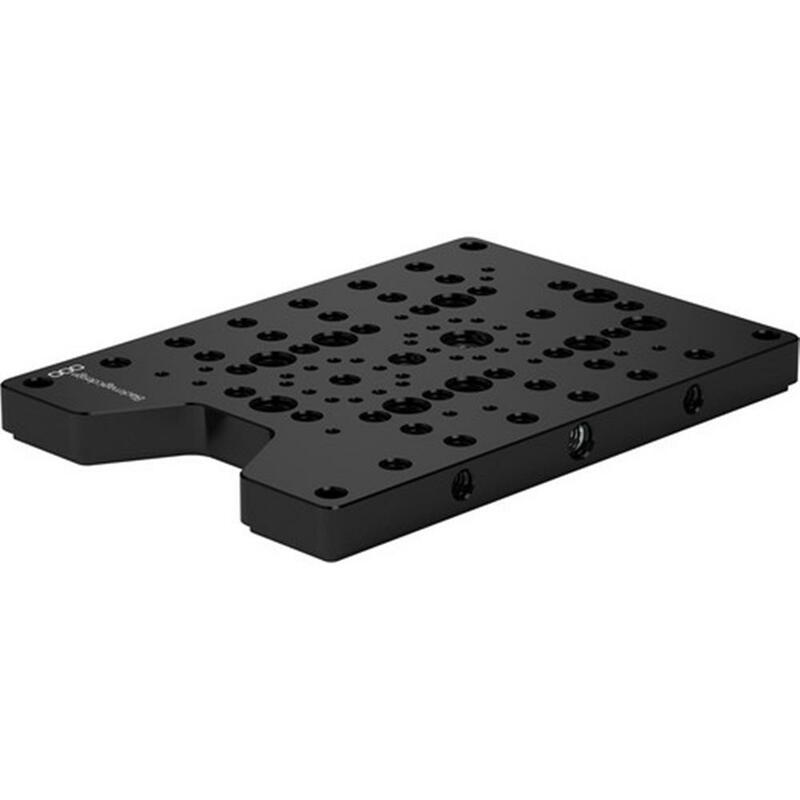 That's because HyperDeck Shuttle Mounting Plate features a variety of pre-drilled 1/4" and 3/8" holes, making it compatible with every mount accessory you'll ever need. It also gives you the freedom to power your HyperDeck Shuttle from an external battery. Simply attach a V-Mount or Anton Bauer style battery plate and you're good to go.